King Willem-Alexander and Queen Máxima are on a two-day visit to Bonaire and Aruba on April 30 and May 1 to attend the Rincon Day on Bonaire and the Aruba SAIL 2015 event. ANP gallery with some lovely pictures. Maxima looks great in this shade of yellow and the couple seem to be having a nice time. 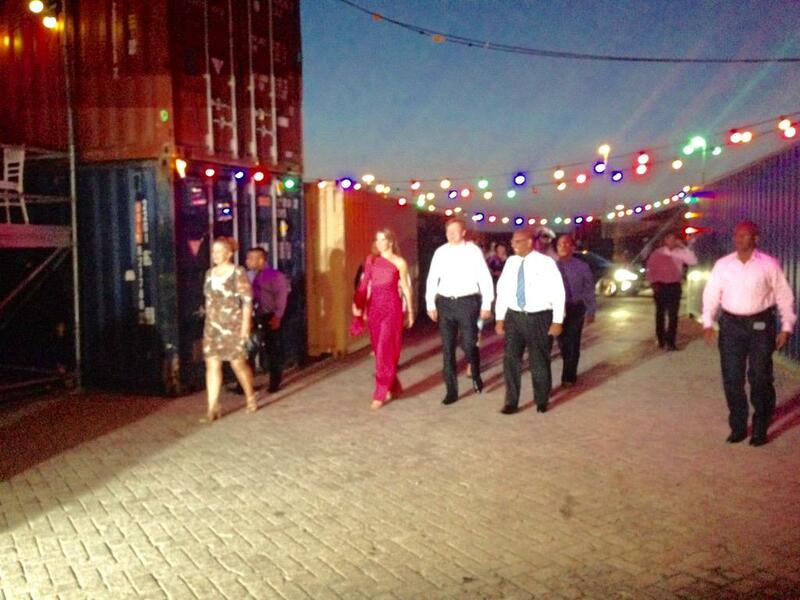 Queen Maxima is over dressed or the King is under-dressed ! Well, the King wore handmade shirts with double manchets and cufflinks, it looks like his normal wear but without tie and the shirt over the pantalon. The King would have looked better with a kaki or beige blazer but I see all gentlemen around wore their shirt without tie, without blazer and over the pantalon. They attended a performance of the musical "Soldaat van Oranje" (Soldier of Orange). PPE agency with a few pictures. Great color on Maxima! As usual, Maxima looks like she spreads joy wherever she goes. lovely pictures, any visit to the Dutch antilles is likely to be so joyous - what a lovely atmosphere.